Magnesite stone has a lot of healing properties that can calm your body and heal your system. It's a very helpful stone that can relieve and reduce tensions. ✦ 14K Deep Gold plated Long Turquoise Magnesite Stone Dangle Earrings. 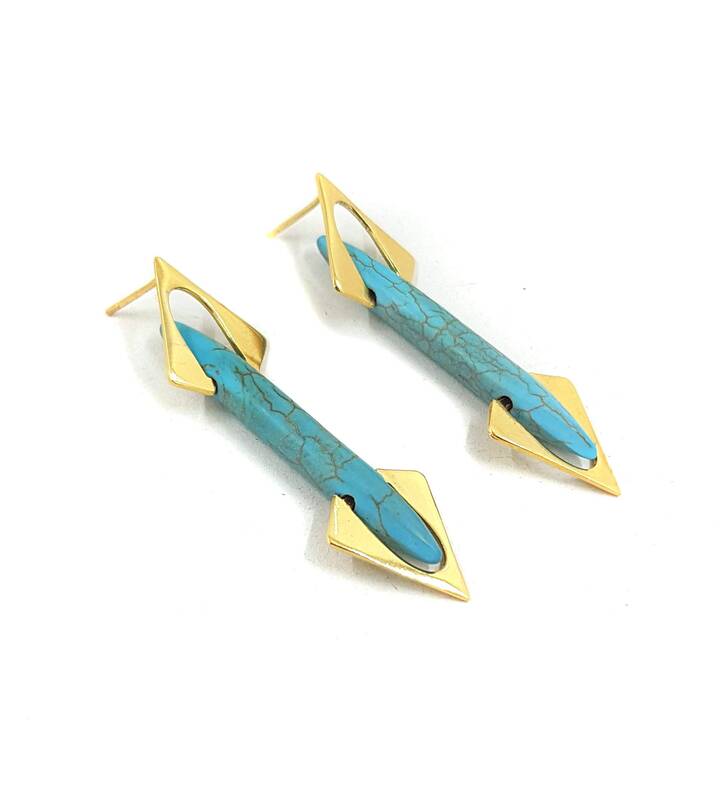 ✦ The plated earrings have a brass base.